Now avaible the documentation of Molnárka (download here). In this post you can read the abstract. Molnárka is an engined boat capable for lifting its hull about 4 meters (~13 ft) above water, at any point on still water surface. 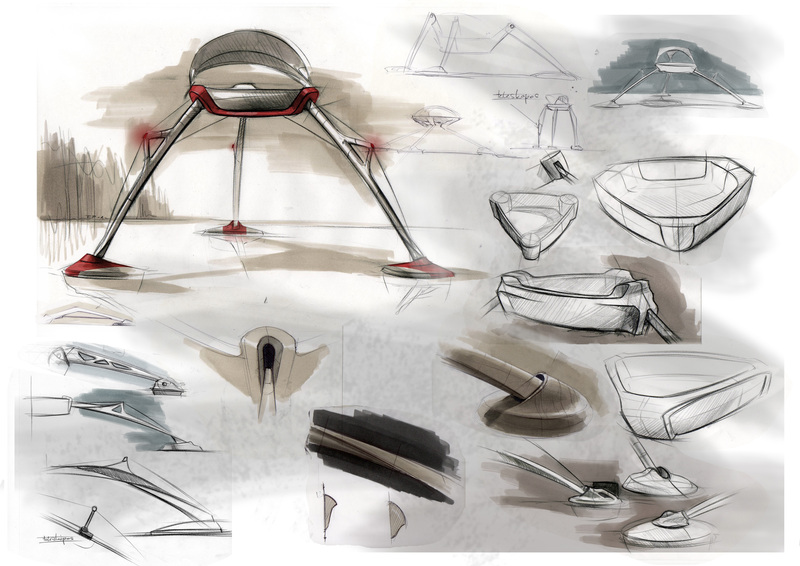 The development of the concept was based on a university tender aiming to design a rescue base that can be optionally placed for sighting, so the rescue procedure can be immediately initiated from water, after notice of emergency. The multifunctional lifeboat task is to privide the coastal rescue operations mainly in freshwater in such a way that the crew can choose the observation post anywhere on the open-water. 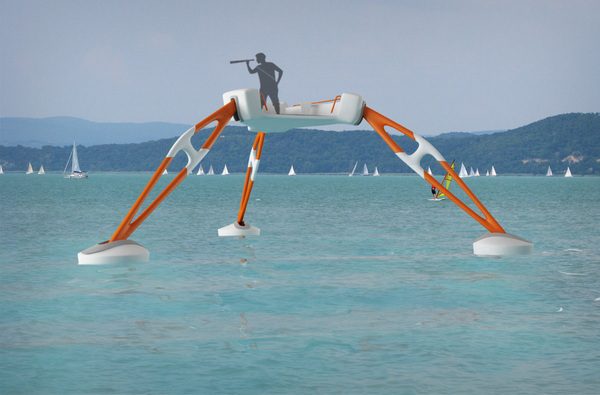 By the help of its legs, the boat can lift itself and its crew upto 4 meters above the water level anywhere. The life-saver can begin the rescue of the uncovered person with the same vehicle. To get in the observation position it uses 3 winches. In this way we’ll have a cheap, lightweight and simple construction. there are no rudder on the boat. In fact of the big distance between the steerling wheel and the motors it would be very difficult and expensive to steer on the classic way with bowdens, but we can make use of the rev differences of the motors to navigate the boat. And for that big distance we have a great leverage. To avoid the too intensive rocking caused by the wind and the waves we can fix the boat to a buoy. 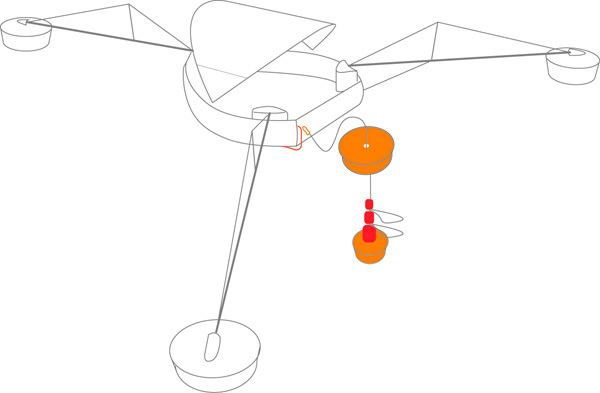 In the rescue situation the lock perceive when the motors start and they unlock immediately. 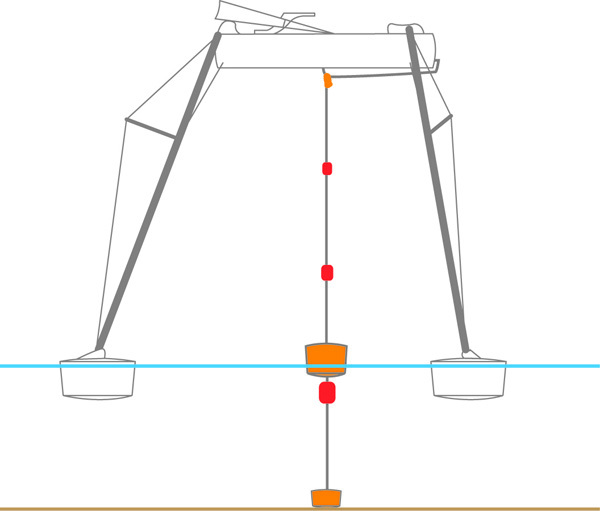 After detaching, the rope, hanging on the buoy, is pulled under water by 3 sinkers preventing it from floating freely and allowing the carbine to be always at the same point, on the buoy. When the Molnárka is off duty it can rest on a pier-head. It navigates above the pier with raised body then slowly descends onto it. In such a case the legs are resting unloaded and easely equip the boat. 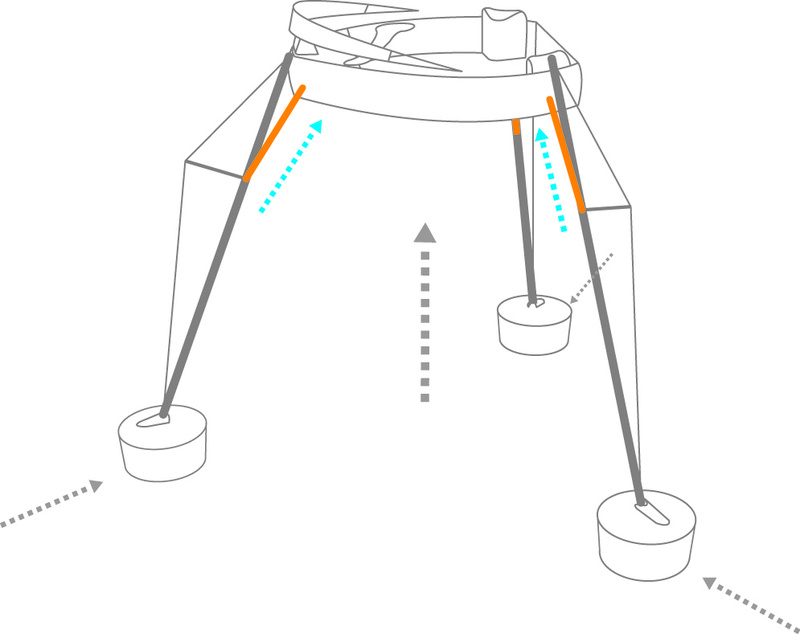 The structure of the feet is designed similar to the bicylcle frame. Because this way tha main loads cause compressive stresses. 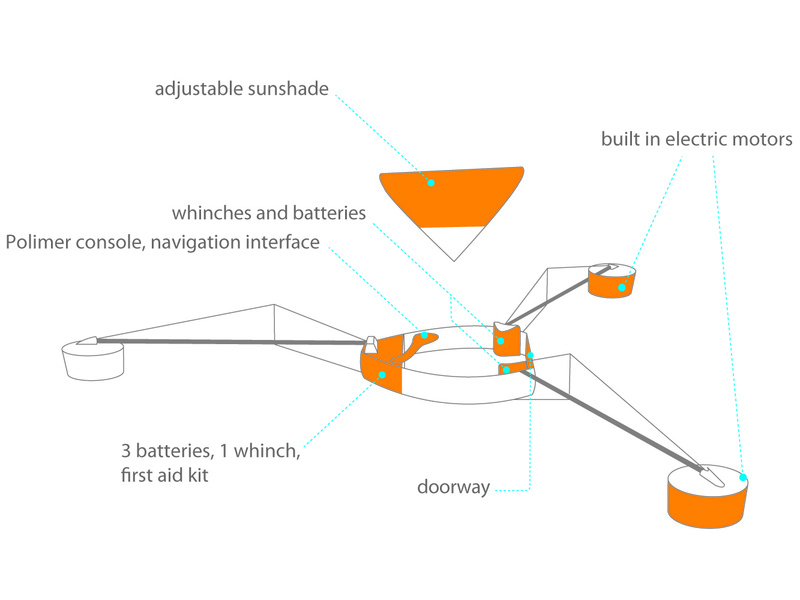 This entry was posted in works and tagged boat, bosch, iaeste, life, rescue by igendesign. Bookmark the permalink. nice conzept. but i think the outrigger´s of the construction are in the wrong direction.